St. Andrew's School and BABC forward Cole Swider landed a scholarship offer from Duke University while on their campus for an unofficial visit on Thursday. Swider has had a strong spring, highlighted by some huge games in the EYBL, and fits a niche that the Blue Devils have traditionally valued over the years in a skilled forward who can space the floor and shoot the three at a high level. The 6-foot-8 forward had previously trimmed his list to Michigan, Syracuse, Villanova, Miami, Indiana, Creighton, Xavier, and Providence. 6'8" Cole Swider'18, a RI native, has been a known figure in New England circles, but, through his success with BABC, has now attracted the blue bloods. 6'8" Cole Swider has played for two of the highest profile figures in New England basketball, St. Andrew's Mike Hart and the godfather of New England AAU basketball, Leo Papile of BABC. Swider, a Rhode Island native, has been a known figure in New England circles, but, through his success with BABC, has now attracted the blue bloods. Unlike a lot of stretch fours, the reigning RI Gatorade Player of the Year exudes a mix of toughness and skill. 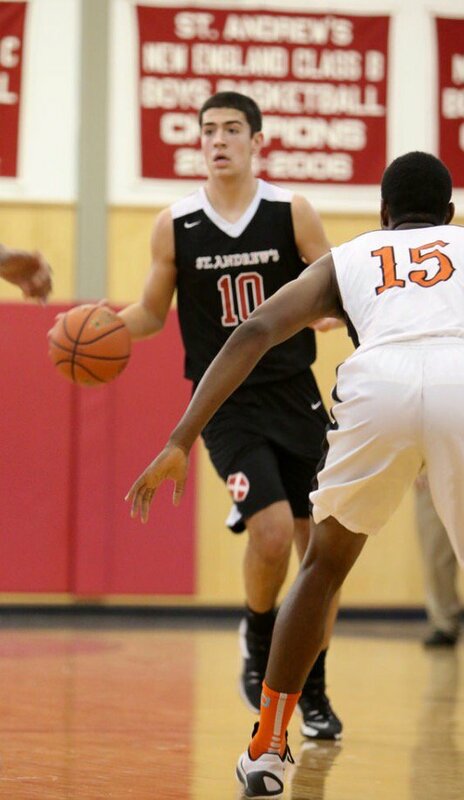 After averaging nearly 27 points and over 11 rebounds, while leading his Saints to the competitive NEPSAC semifinals, Swider earned first-team All-NEPSAC honors. His late season success dovetailed right into EYBL season, where he was the immediate focal point of coach Papile's offense and the target of every opponent's defense. Swider took that in stride, forcing big men to step outside and challenge his three-point proficiency, which helped spread the court for his team. While many EYBL teams feature several high-major players, BABC will likely have no more than two, but have a toughness about them that stems from the top and creates a culture of winning that exceeds the sum of its parts. @coleswider21 college commitment announcement will be held in Sage Gym @standrewsri on Friday, June 30, 2017 at 3:30pm. St. Andrew's School and BABC forward Cole Swider announced his commitment to Villanova during a Friday afternoon press conference. He chose the Wildcats from four finalists that also included Syracuse, Duke, and Xavier. ABC 6 Sports Anchor Nick streamed the announcement live. ...wider, the 6-foot-8 junior forward, announced he will attend Villanova University, choosing the Wildcats over Duke, Syracuse and Xavier. “It was all worth it. I would do it over again,” Swider said after posing for dozens of photographs and receiving twice as many well-wishes. Swider said the relationship he built with Villanova coach Jay Wright, who led the program to the national title in 2016, is what helped him make his decision. He fielded more than 30 scholarship offers and met with coaches Mike Krzyzewski of Duke, Jim Boeheim of Syracuse and Chris Mack of Xavier, as well as Wright, once he narrowed his decision to four. Ultimately, though, he chose the Big East school outside of Philadelphia. @coleswider21 drops 36pts tonight including point number 2443 to break Tony Robertson’s ‘99 twenty year school record! The Saints defeated @VTAcademyHoops 91-81 in the @NEPSAC Class AA Showcase.